England vs Bangladesh: The host England is looking to pick the Champions Trophy this year. The team start their game against with Bangladesh today on June 1st Thursday at 10.30 am BST. It is common that all needs their perfect start to win the upcoming games of this tournament. Eoin Morgan’s England cricket team is good with their bowling and batting. With the help of Ben Stokes, Joe Root and Jos Buttler are the highlighted batsmen in the team currently. Alex Hales and Jason Roy may come up later with their best for their team. The team have the biggest plus that the matches will be played on their home soil. Recently, the team faced South Africa in the three format series. England explored their best and also found new best players for their team. 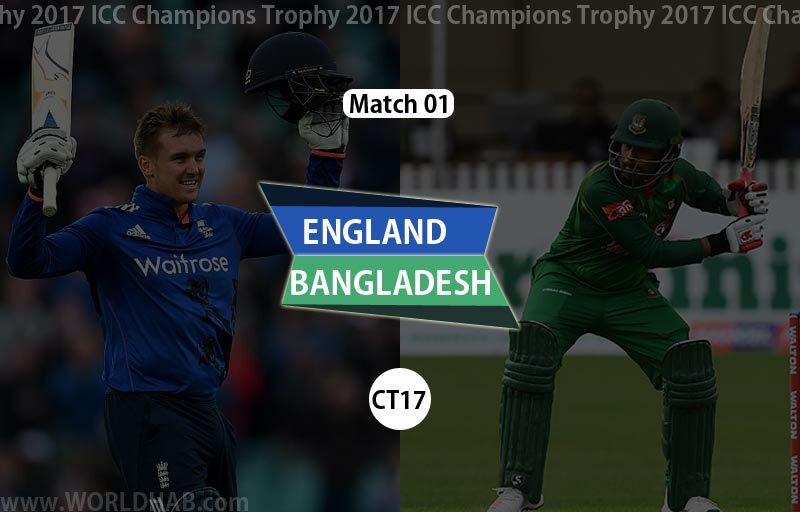 Watch the England vs Bangladesh Champions Trophy 2017. Also, the Bangladesh looking their same impressive win over England in the World Cup 2015. But, the team struggled while trying to chase down the India’s total in the recent game. Though, the team is strong about the opinion that they try to do the same against England. Bangladesh has beaten England and went to quarterfinals lastly. Check the England and Bangladesh Live Streaming and TV information for the Champions Trophy opening match. The fans of Bangladesh and England those who all living in the United Kingdom can watch this match at Sky Sports 2, Sky Go and Watch Sky Sports. Like the same, Willow TV and it’s Willow TV Live Online providing the Champions Trophy in the United States. Bangladesh fans and the people those who all hardly loving their team cricket can watch this first CT17 match at GTV and Star Sports. Fox Sports and Foxtel are the Australian official broadcaster for this match. Sky Sport 1 and Sky Go NZ are the New Zealand sports channels. In India, Star Sports 1, Star Sports 1HD (English, Hindi, Tamil) and Hotstar are set to provide the Champions Trophy matches. SuperSport 2 and SuperSport Live Video are the official Live TV and online service for the South Africa cricket fans and people. Middle East country people can also watch this match at OSN Sports Cricket and OSN Play.